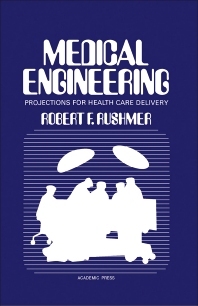 Medical Engineering: Projections for Health Care Delivery focuses on the biomedical engineering techniques and technology in the health care delivery system. This book examines the need for forecasting in basic bioengineering research. Organized into two parts encompassing 10 chapters, this book starts with an overview of how biomedical engineering influences the resultant problems in health care system through improved long-range planning, instrumentation, design optimization, and management. This text then discusses the application of mathematics, physical sciences, and engineering to problems of medicine and biology. Other chapters explore the primary goal of biomedical engineering in the continued development improvement of the various diagnostic and therapeutic tools of health care to optimize their safety, reliability, effectiveness, and overall benefit. Other chapters consider the diversity of personnel and organizational relationships, which have expanded greatly with the expanding role of technology in medicine. The final chapter deals with the public demands for improved health care delivery at reasonable cost. This book is a valuable resource for biomedical engineers, life scientists, physicians, and health professionals.